We love old home grown race efforts. This is the core principle on which Fuelfed was born back in the mid 1990’s. 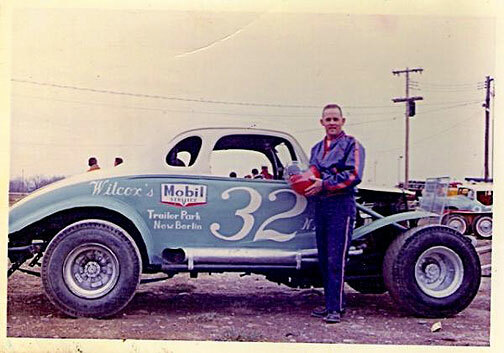 These photos and short story were sent to Fuelfed by fan Danny T. They depict the ‘Pop’ Wilcox old #32 modified dirt track racer through the years. 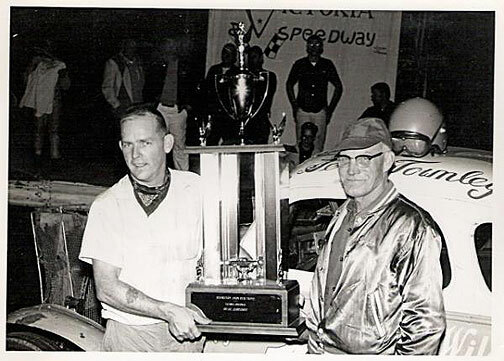 Based in New Berlin, NY, the car raced at Fonda, Lebanon Valley and Victoria, making occasional trips to Midstate. 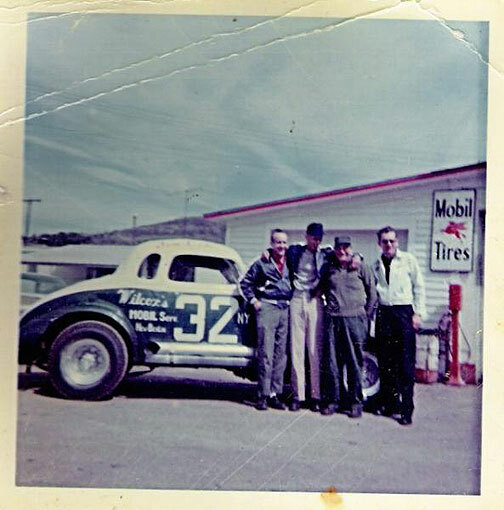 It was the local hot rod hero for over thirty years with a long Wilcox family history. Pop Wilcox built it in the early 1950’s with the help of family and friends. Jerry Townley was the winningest driver of the 1937 Chevy coupe. “A few things you’ll want to do before you head down to Fonda. You’ll need to replace the Rochester carb that’s on the engine with a Holley. The Rochester’s fuel bowl has to have a baffle installed to prevent fuel from running away from the jets in the corners, causing skipping. That’s a pain job getting the Rochester right, so just get a Holley and the fuel starving problem will be solved. Before long you’ll have trouble with the Halibrand quick change. It isn’t made for OHV engines and You’ll twist off jack shafts. Get a Frankland, it’s bawkier looking but it’s tougher. With three on the tree, solid live axles and drum brakes; old #32 must be been a real hand full, especially after popping a few cold ones during warm up. This entry was posted on March 8, 2011 at 1:47 am and is filed under Culture, Vintage Motor Culture. You can follow any responses to this entry through the RSS 2.0 feed. You can leave a response, or trackback from your own site. Hi Jerry, I raced the yellow 731 at Lebanon during late 60s early 70s and remember being alongside you many times. You always were a clean driver and gave me plenty of room especially when I was a new driver just learning. Now I’m 79 yrs old and reliving my racing days thru building of 1/24 plastic model racing cars and I have quite a collection. 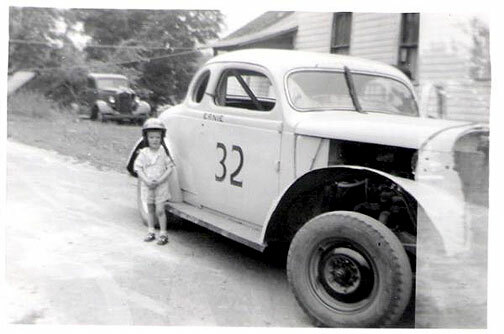 My present build is of Pop Wilcox #32 and your name will be on the roof as the driver. Pop himself helped us with our brake problem at the valley and I’ve always appreciated that. I hope you are well and that you are still enjoying life. 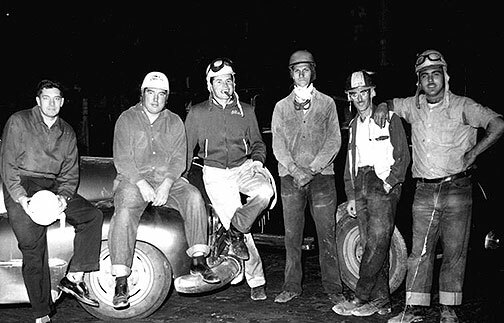 Wouldn’t it be wonderful to be back in the good old days racing once again?